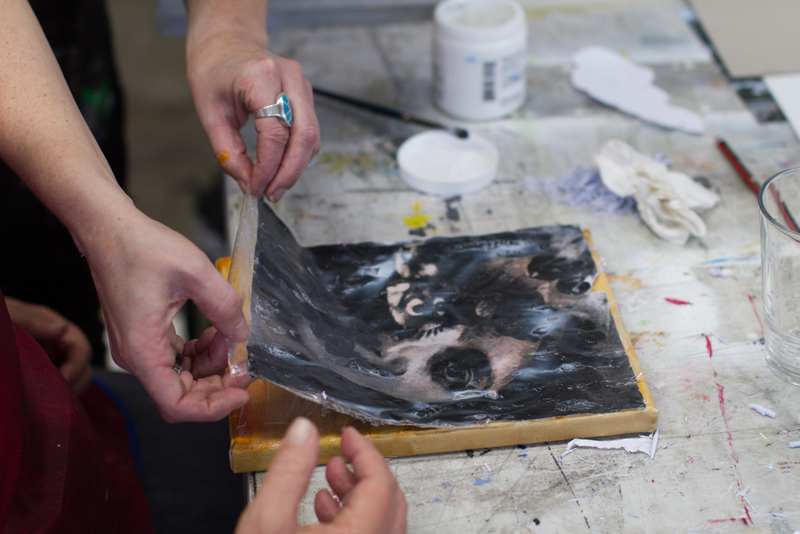 Learn how to incorporate your own photographs, drawings and images into your artwork in this exciting workshop with Certified GOLDEN Artist Educator Merryn Trevethan. Image transfers are an immediate way of merging photocopied images or laser prints with your artwork on a wide range of surfaces. You will create your own unique artworks that incorporate images of your own selection using GOLDEN Acrylic Paints, Gels and Pastes. The IMAGE TRANSFER WORKSHOP is on the 10th of January, for all the details and to book your place CLICK HERE.